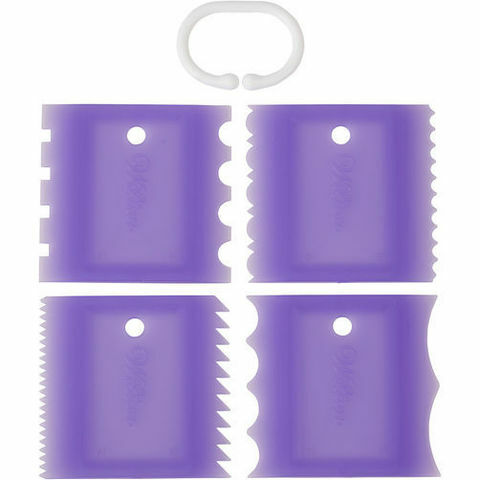 Easily add texture using this 4-Piece Cake Combs Set. Choose from 8 unique designs. Simply sweep the comb through icing to create stunning patterns with added depth and dimensions. 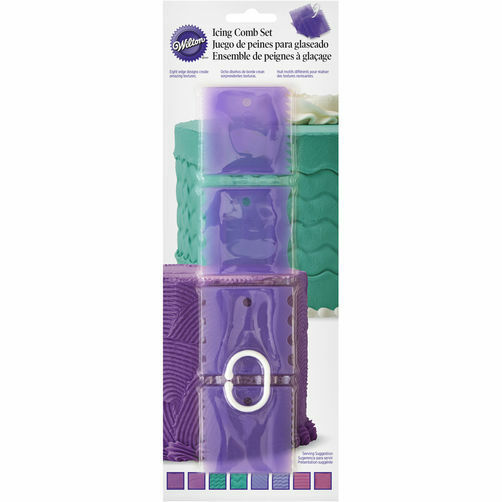 4-Piece set comes with a handy organizer ring.